Ice Pops To Drive Your Kids Buggy! If your kids are into bugs then these fun Bug Ice Pops will be the perfect treat on hot summer days. 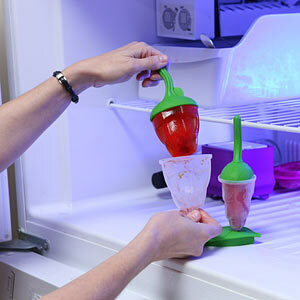 You can also save your hard-earned cash by making your own juice pops as a healthy alternative to sugary pops. The set of six includes two each of ladybug, caterpillar, and beetle molds. They are so much better for your kids than live bugs! 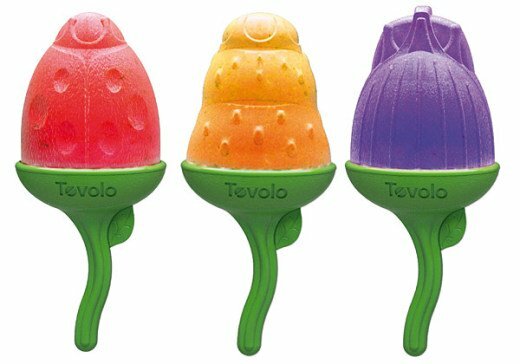 The molds are made of durable, dishwasher safe and BPA-free plastic. They even have drip guards to mitigate any melting messes. These cute bugs are also great for those kids who never grew up. For more information or to order, click here.